Government figures show the overall number of full-time teachers in secondary schools fell by 10,000 between 2010 and 2015 – and a recent survey of more than 3,000 teachers suggests that more than 40% may choose to leave the profession within five years. Against this backdrop, finding sufficient teaching and support staff is becoming increasingly difficult. Consequently, school leaders must put in place strategic workforce planning strategies to ensure that they continue to have access to the skills they need on an ongoing basis. While the role of a headteacher has always been demanding professionally, the remit of school leaders has expanded in recent years. While senior leadership teams have traditionally managed budgets now, thanks to profound changes in organisational structures, it seems that every leader is, essentially, operating as a CEO. Planning your workforce has never been more challenging, and that’s before shrinking budgets are taken into account. Time to take a corporate approach? Late last year research by the Association of School and College Leaders and law firm Browne Jacobson found that budget pressures are pushing more than half of schools in England towards cutting staff, with most preparing for big reductions in a bid to balance the books. Since then it has been reported that a primary school in Leicestershire is proposing to operate on a four-and-a-half-day week due to gaps in funding. Clearly, if leaders are to minimise the impact that these factors will have on pupils it’s crucial that they become more commercial in their hiring decisions. The education sector is not alone – private sector businesses share similar concerns. According to PwC’s 2017 Global CEO Survey 83% of business leaders are concerned about the availability of key skills. However, when it comes to efficient talent management, commercial organisations – driven by profits and experienced in the art of negotiation – manage headcount costs ruthlessly. Education leaders must take a leaf out of business’s book and mitigate against the risks associated with this talent drought by implementing a strategic workforce plan (SWP). Broadly speaking, a SWP is designed to ensure that there are the right number of people, with the right skills, in the right place, at the right time – not just today or this term, but for the rest of the school year and beyond. Successful plans include skills gap analysis, forecast of future demand, pre-empt the predictable loss of skills (through retirement or maternity leave, for example) and map external talent. Short-term costs must be managed. The relationship-led nature of the education sector means that decision-makers are often incredibly loyal to their suppliers. It’s human nature to find comfort in familiarity, and it’s easy to forget that a friendly recruiter who regularly comes to the rescue is also a hard-nosed sales professional with targets to hit and commission to earn so that their agency can maintain huge profits. Of course, recruitment consultancies provide a valuable service since Local Authority (LA) recruitment support has dwindled; they offer a guarantee that you will have a teacher standing at the front of the class at 08:50, even at the shortest of notice. However, it’s crucial that you are clear about the terms of your service agreement and research and compare alternative suppliers – there should be no misplaced loyalty. Are you aware of your employment rights? The truth is that monumental changes to organisational models, falling support from LAs and ongoing changes in legislation mean that many leaders are now unsure where they stand with terms of employment. For example, many agencies routinely charge a fee if a supply teacher moves into a permanent position. However, legally, a hirer can avoid paying a temp-to-perm fee after a certain period of time has elapsed since the end of a worker’s assignment – 14 weeks from the start of the assignment or eight weeks from the end of the assignment, whichever ends later. Make sure you’re aware of your rights. While you can’t take your eye off the ball in terms of short term staffing needs, now is the time to start planning pipelines for the future. 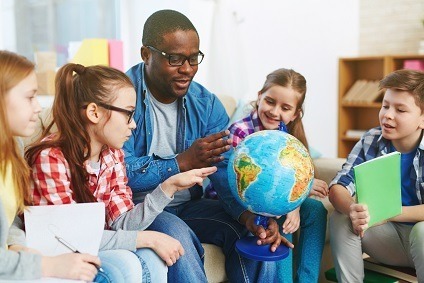 A recent report by the Education Policy Institute (EPI) suggests that England has one of the highest proportions of teachers under 30 and only 48% of this workforce have more than 10 years’ experience. With this in mind, you should ensure that skills are shared within your establishment so that they’re not lost when individuals leave. Meanwhile, it’s worth keeping in mind that teaching is largely a lifestyle vocation and many professionals have long-term aspirations to work with specific schools or in a certain location. Heads and business managers can improve their chances of attracting top talent by building their ’employer brand’. Communicate the spirit of your school to potential recruits by sharing sporting achievements, school trips and exam results online and through local media to increase the probability of potential staff members contacting you directly. Also make sure your website has a careers page that doesn’t steer visitors directly to an agency. Even if you have no immediate vacancies, invite those interested in working with you to share their details and keep in touch by sharing newsletters. When a position does come up, you’ll have a bank of candidates at your fingertips. The overall rate of teacher vacancies in state schools in England doubled since 2011. With pupil numbers at secondary schools expected to spike by more than 500,000 to 3.3 million by 2025 the talent crisis only looks set to worsen – by putting plans in place now, school leaders stand the best chance of protecting their workforces against the fall-out.